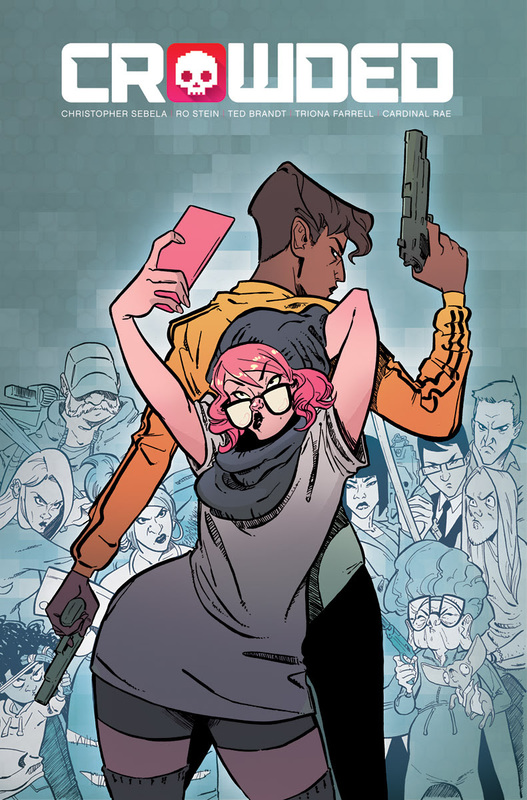 PORTLAND, OR, — Even before hitting shelves this August, the forthcoming CROWDED by Eisner-nominated writer Christopher Sebela (Heartthrob, We(l)come Back, Harley Quinn), Ro Stein and Ted Brandt (Captain Marvel, Raven: The Pirate Princess), Triona Farrell (Runaways, Mech Cadet Yu), and Cardinal Rae (BINGO LOVE, ROSE) is stirring up buzz with The Hollywood Reporter dropping the news yesterday that Rebel Wilson has optioned the film rights to the series with the goal of starring in and producing the movie adaptation. Wilson will develop the project and produce it via her Camp Sugar production banner. Also producing is Oni Entertainment.